Essential oils are huge right now. Spend any amount of time on Pinterest or parenting blogs and you will likely run across quite a few articles explaining the benefits and use of these aromatics. 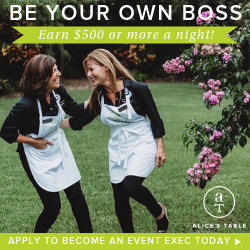 As a result, there are a number of direct sales companies featuring essential oils and opportunities for men and women to earn an income as consultants. PURELY’s mission is to deliver products that are free from harmful toxins and ones that contain only pure ingredients. Its product line includes essential oils; beauty items like lotions, lip therapy, bath salts, and natural deodorant; men care items like bath bars, beard oils, and shaving soap; and jewelry like diffusing bracelets. PURELY created the Give Purely Foundation, which makes regular donations to organizations that aim to end the enslavement of men, women, and children around the world. You can get started for free with PURELY, thanks to their Free Start. The kit contains $200 worth of products like oil samples, face masques, toothpaste, and more. To get the kit for free, you need a Free Start by PURELY code from an Independent Advisors or contact the PURELY headquarters for help. You can upgrade your kit with for $99, which contains more products and marketing tools. Once you have joined, you can earn a 25-35% commission for every purchase you or your customers make. As you sponsor team members, and they sell products, you will receive 2-9% of their sales volume. Independent advisors are qualified to make $12,000 in one-time bonuses when you move up the ranks. Young Living is a well-established essential oils company that has been in business for 25 years. The direct sales company produces only high-quality products through their line of essential oils and essential oil-infused, plant-based products. This direct sales company's product line focuses mostly on single oils, blends, roll-ons, and massage oils. They follow the chain of production carefully because they have high standards. To join Young Living, you must buy a starter kit. The company has a variety of kits that range in price from $45 to $265, and include a variety of products like essential oils, house cleaners, and marketing materials. You get bonuses based on how many members you recruit to join and earn a commission based on their sales. The commission you make with Young Living starts at 24% and doesn’t rise much, regardless of your sales. You can also earn an 8% commission based on members you recruit to join your team. There are various bonuses you can receive like a Rising Star Team Bonus or based on sales of your group. doTerra was founded in 2008 and is motivated by the mission to share Certified Pure Therapeutic Grade essential oils. According to the company, these oils can be safely used by family members, young and old. Its products include single oils, blends, personal care items, supplements, weight management, diffusers, and more. This is a growing company with more than two million Advocates worldwide. doTERRA Wellness Advocates can buy a membership for a fee of $35, and a yearly renewal fee of $25. This membership allows Advocates the right to purchase doTerra products at wholesale prices 25% below retail and earn a 25% percent commission. Bonus opportunities are also available to new Advocates and those building a team. doTerra hosts incentive trips that are fully paid for an Advocate and a guest. Advocates also can attend various retreats, conventions, and trips that help build a community. MojiLife provides new technology and products such as fragrances, essential oils, home decor, cleaning products, accessories, and apparel. The most popular product sold on the site is the airMoji, which is an air freshener that can reach up to an area of 3000 cubic feet. The scents offered include Sweet Pea, Flower Child, Iced Cranberries, Sugared Pumpkin, and Salted Caramel. MojiLIfe has an affiliate program that offers sales commission to people who help sell their products. You can also join MojiLife as an independent consultant, and the opportunity is open to people living in the United States, Canada, Australia, and Germany. You must buy a package for $88, $175, or $295 that includes sample products and all the tools you need to start a business. Commission starts at 20% but can increase to 25%. If you choose to add to your team, you can make a commission based on the members you recruit. Each month, you must make 20 points which you can earn through your personal volume and how much your team sells. MojiLife built MojiCares, a program that helps to empower women and assists battered women, children shelters, and foster children. Founded in 1978 in Arizona, Forever Living is one of the largest growers, manufacturers, and distributors of aloe vera products in the country. The direct marketing company’s product line includes essential oils, aloe vera drinks, honey, accessories, nutrition, personal care, and more. To get started, consultants can choose to purchase a starter kit for $253, which includes sample products and business tools. However, there is an option on their website to “continue without purchase,” so you can get started for free. To become an active member and become eligible for a commission, you must purchase two case credits worth of products. Each case is worth roughly $140. You must also get four personal case credits per month, and one of these must be purchased by you. Therefore, you must spend at least $140 each month to be eligible for commissions. There is no information online about how much of a commission or bonuses you receive. Scentsy was created to deliver a safe alternative to candles. The company is an international leader in home and personal fragrances and has more than 100,000 independent consultants in 11 different countries. Its product line includes a little of everything scented from wickless candles to ceramic warmers and household cleaning products to more than 80 different Scentsy fragrances. The fragrance scents include baked goods, citrus, floral, fresh, fruity, spicy, woody, and green. For $99 you can get everything you need to start your Scentsy business. The starter kit includes some of Scenty’s bestselling products, product samples, and business tools. Consultants make between 20-25% in commission, with additional bonuses awarded based on your sales. Scentsy consultants are also are eligible to go on incentivized trips based on sales volume. Neal’s Yard Remedies (NYR) started in 1981 in a small depot in central London. It was founded out of a desire to deliver natural health and beauty products. The company produces organic, natural products and herbal remedies that are are not only 100% organic and natural but are ethically sourced too. Its product line includes essential oils, skincare collections, face, body, a men’s line, cosmetics, and more. NYR Organic products come in their signature recyclable blue bottles. The Consultant Starter Kit contains samples and business tools. You can choose to add an aromatherapy kit for $50. Consultants earn a 25% commission. Consultants have the chance to receive a fast start bonus, as well as 5-15% in additional sales bonuses. For every member you add to your team, you can earn a commission based on their sales.